In 2000, Ms. Briggs went to an A’s game and bumped into her former high school principal. Fortuitously, her former principal was in need of a young, passionate English teacher to fill in for a recently departed veteran at Dublin High School. Ah, fate! Ms. Briggs accepted eagerly, as becoming an English teacher fulfilled a dream she’d possessed since the tender age of 5…when she began playing school and assigning “homework” for her tiny younger brother to complete. 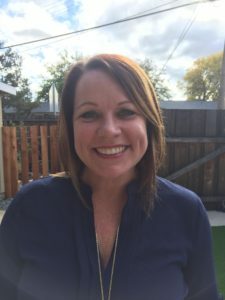 Since being thrown into the fire, Ms. Briggs has put her phenomenal experience from Santa Clara University and San Francisco State to good use, teaching at nearly every secondary grade level and writing curriculum for several new courses. In her 17 years at Dublin High School, Ms. Briggs has taught 9th, 11th, and 12th grade English- College Prep, Honors, and Advanced Placement-and a few electives, as well. She’s not entirely sure how she has missed teaching sophomores, but there is still time! Ms. Briggs believes that strong analytical skills and finely honed communication skills are the key to success in any major, profession, or endeavor. If she can help someone think about a subject in a new, or deeper, way, she is halfway there. If she can help someone take those critical thoughts and communicate them in a powerful, persuasive, clear fashion, then she’s done what she was meant to do. Communicating well is the most hopeful signifier for progress, and Ms. Briggs cannot think anything she’d rather be tasked with. Excited to join the Mill Creek Academy faculty team, Ms. Briggs can’t wait to share her passion for literature with young minds.